Your G for Good Moment: Migrantour Rome, Rome Your G for Good Moment: Nem Adom Fel Café and Bar, Budapest Your Foodie Moment: Eiffel Tower Picnic, Paris Your Discover Moment: Paris Your Discover Moment: Interlaken Your Discover Moment: Rome Your Discover Moment: Florence Your Discover Moment: Venice Your Big Night Out Moment: Budapest Your Discover Moment: Budapest Your Big Night Out Moment: Berlin. 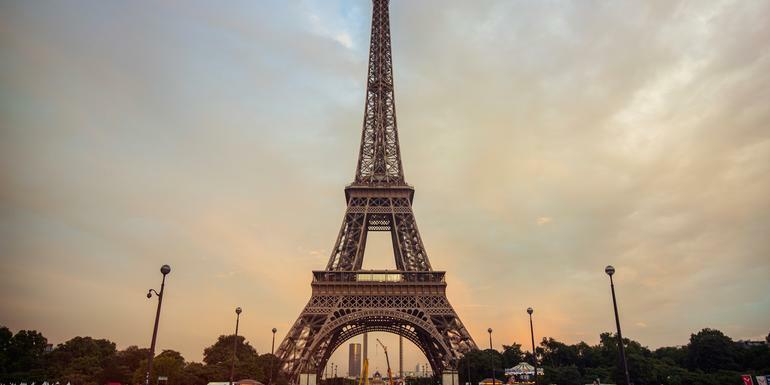 Picnic in front of Eiffel Tower (Paris). Visit to genuine Pilsner beer hall (Prague). 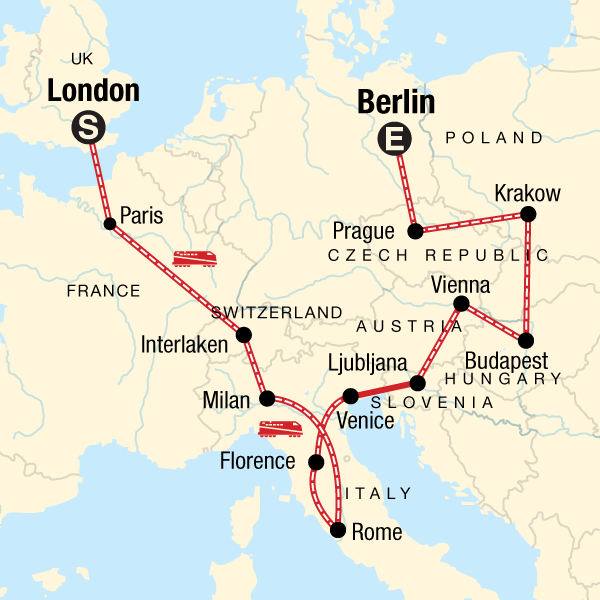 Orientation walks in Interlaken, Venice, Vienna, Budapest, Prague, Kraków, and Berlin. All transport between destinations and to/from included activities.